Our family moved to Casper in the mid-1980s. We were drawn to the area because of the close sense of community. Wyoming is a special place where neighbors help each other out. In addition to fishing, I love golf, basketball and baseball. 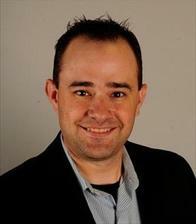 I enjoy watching the Chicago Cubs, Denver Nuggets and the University of Wyoming Cowboys. In the summer, you can find me fishing the Miracle Mile as part of the Wyoming Cutt-Slam program with my oldest son, Jaylon, or shooting hoops with my middle son, Kaiden. I enjoy walking our golden retriever, Buddy, and bulldog, Otis, with my youngest child, Maddy. 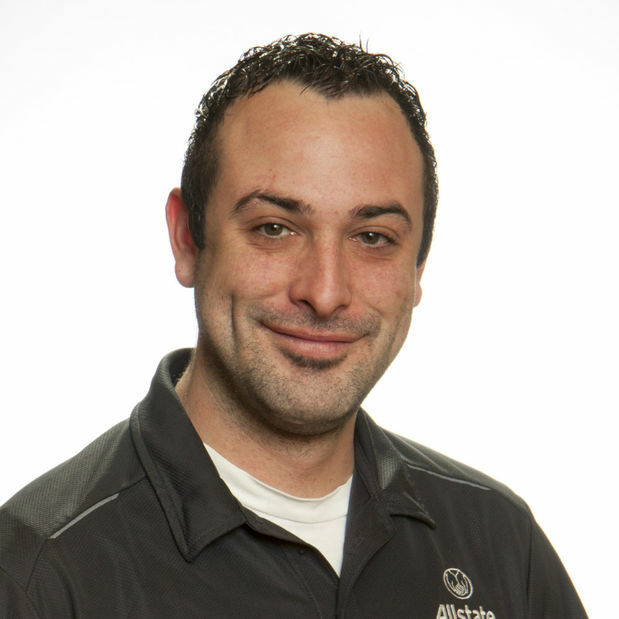 I believe volunteering in the community is one of the most important things I can do as an Allstate representative. I’m involved as a board member with several organizations, including The Science Zone, United Way of Natrona County, I-Reach 2 Inc. and Meals on Wheels. I’m on the golf event committees for CASA of Natrona County and Central Wyoming Hospice. I was named The Science Zone’s volunteer of the year in 2018. 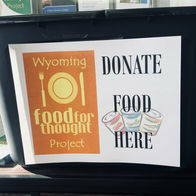 Our agency is also a year-round donation point for the Wyoming Food for Thought Project. In addition to volunteer activities, I’m a member of the Casper Area Chamber of Commerce. I opened my agency in 2014 because I love helping people. My wife and children inspired me to open this agency. My hope is that one day my children will want to join me in the family business. Whether you need auto, home or life insurance, I'm here to help. I look forward to working with you. Please call or stop by my office today! 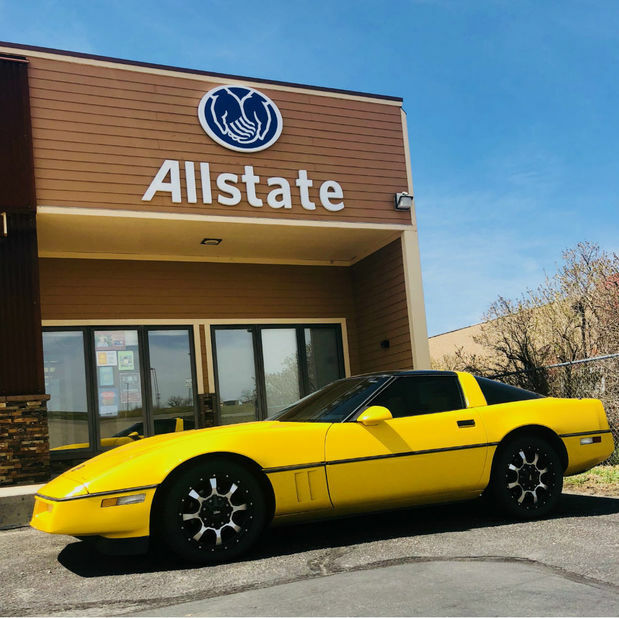 In the insurance industry since 2016, the favorite part of my job is helping customers with insurance while they select the coverage to suit their needs. I grew up in Valley Hills, and I love Casper because there is always something fun going on. Volunteering for Wyoming Food for Thought Project is one of my favorite ways to give back to my community. My son and I spend time playing sports together, flying kites, snowboarding at Hogadon Basin Ski Area or snow shoeing on Casper Mountain. 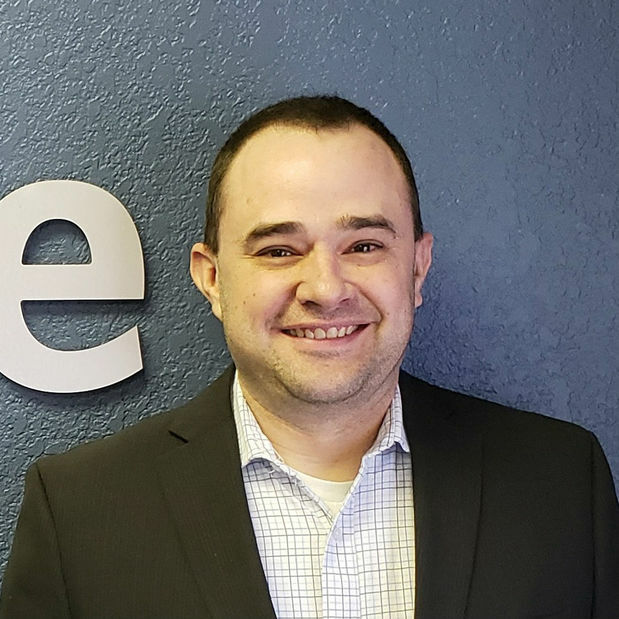 I began my career in the insurance industry in 2017, and I enjoy working with people from all backgrounds. Being born and raised in Casper, and living in the heart of the city now, I love everything that the community has to offer. I love everything that Casper has to offer: fishing on the Platte River and Alcova Lake, camping in the mountains, bike riding, concerts and live music. I volunteer for The Casper Senior Center and love being a DJ/Emcee for many local events throughout the community. 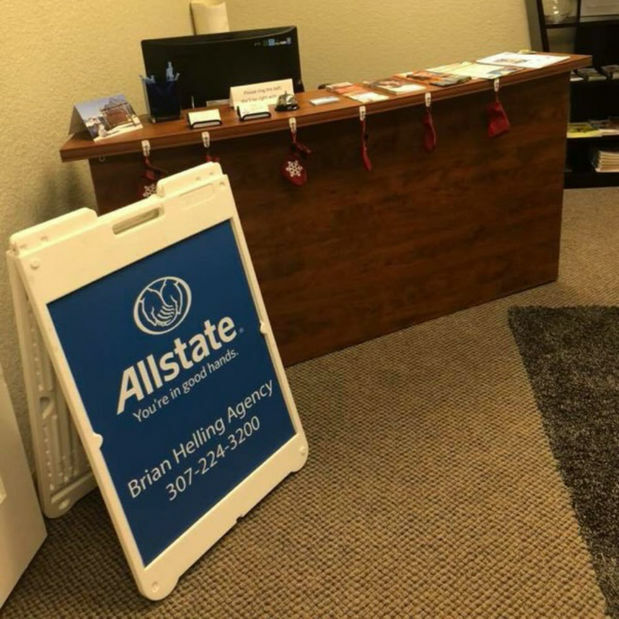 I joined the Brian Helling Agency in 2018. 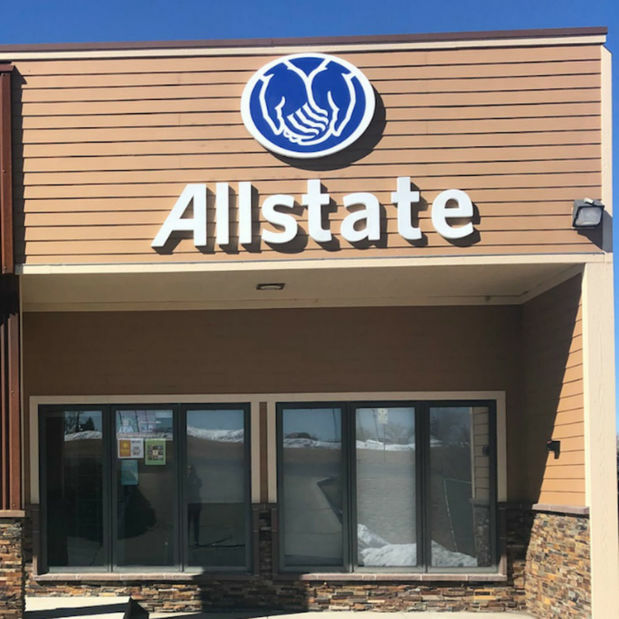 My favorite thing about representing Allstate is the opportunity to offer customers top-notch service. 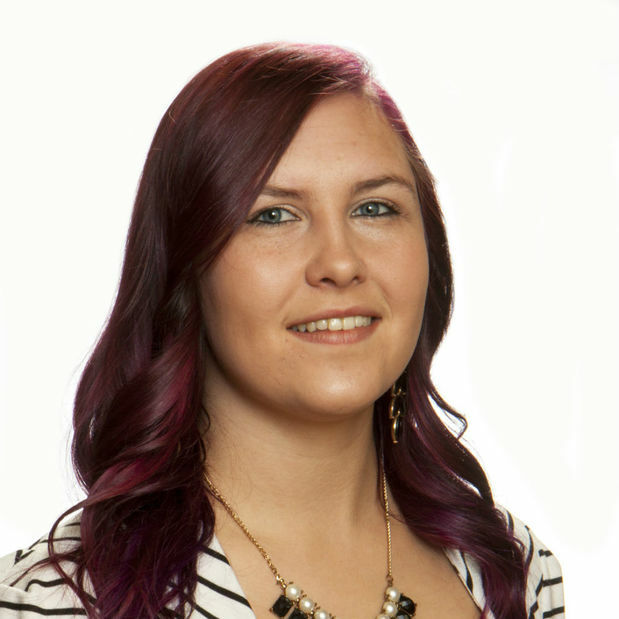 I grew up in Casper and graduated from Natrona County High School. I am currently working towards a Masters of Business Administration at Louisiana State University. I participate in direct-care activities at Bridges of Wyoming, an organization that supports people who have disabilities. 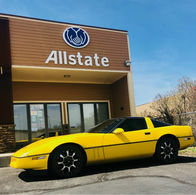 And I enjoy going to classic car shows with my 1987 Corvette! Proud to serve the areas of Casper, Hartrandt, Evansville, Mills, Bar Nunn. Call or email me today for a personalized insurance review. 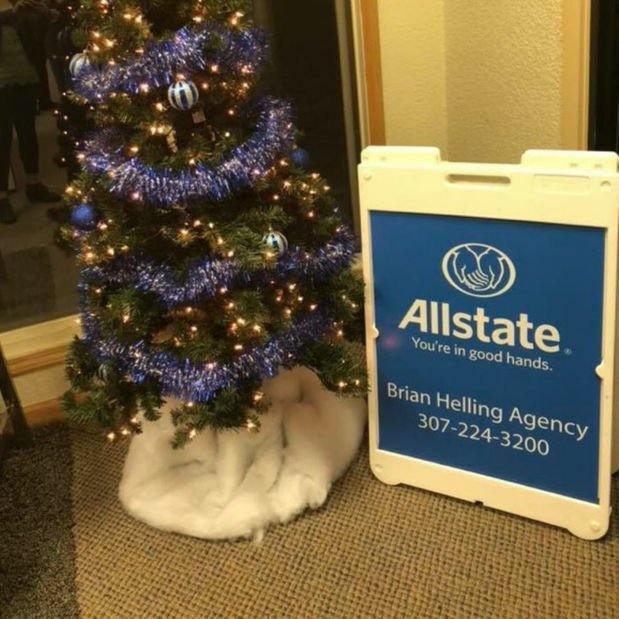 After the bomb cyclone blizzard produced more than 26 inches of snow south of Casper, Allstate agency owner Brian Helling was interviewed for KCWY News 13. Brian shared some tips for dealing with a storm’s aftermath. 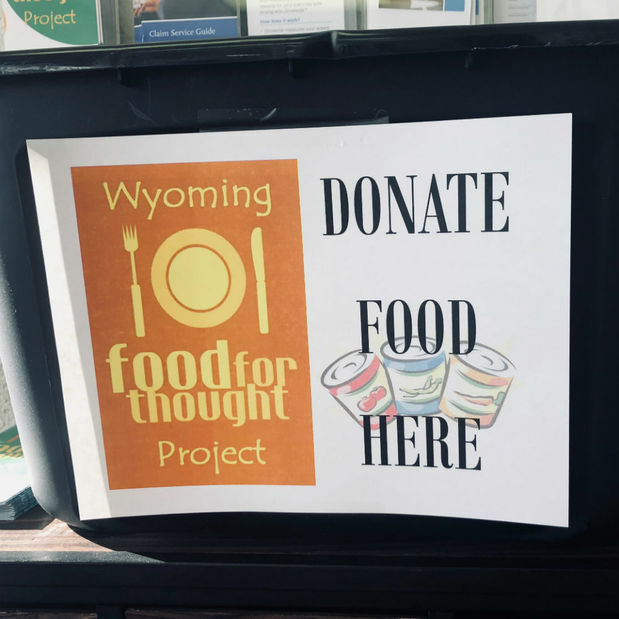 In an effort to support the Wyoming Food for Thought Project, our office is a drop-off location for canned tuna, soup, canned or microwaveable pasta, ramen, instant oatmeal, granola bars and fruit cups. This organization helps those in our community by providing community dinners, weekend food bags and much more. Please stop by with your donations at your convenience. 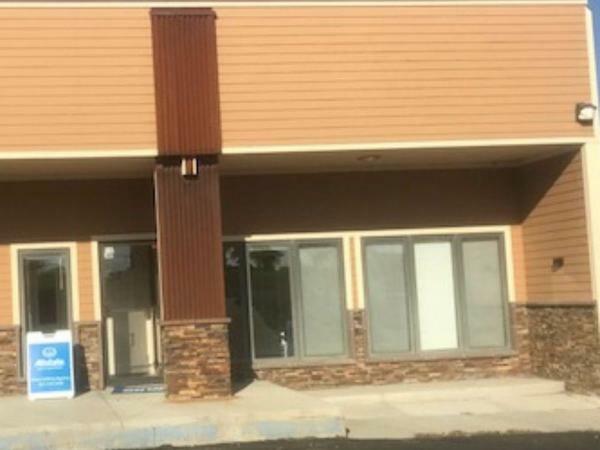 Our team has officially moved into a new building. 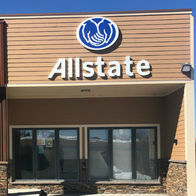 We are now located at 330 South Walsh Drive, Suite 300. We are still in Casper, and we are now better equipped to assist you with your insurance needs. 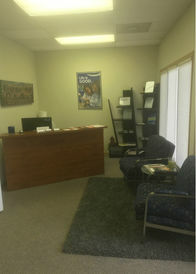 Please feel free to stop by and check out our new office! 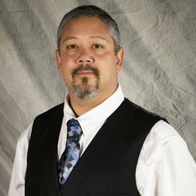 Brian Helling is insurance licensed in the state(s) of Arizona, Colorado, Idaho, and Wyoming. If you do not reside in the state(s) of Arizona, Colorado, Idaho, or Wyoming, please go to the Find an Agent section on allstate.com to search for another Allstate Agent or Personal Financial Representative.